​Digital Quran players are high-tech gadgets that come preloaded with built in Islamic content including holy Quran recitations from famous reciters. Some units come with a controller and a remote speaker that is accessed wirelessly while others feature all-in-one designs without remote speakers. 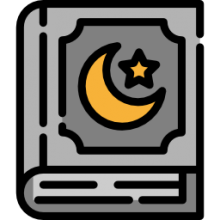 Generally they will ship with preloaded content and functionality that includes a collection of Hadith, Tafsir, Supplications, prayer times, Qibla directions, and Quran translations into a variety of other languages that can include Russian, Bengali, Azerbaijani, German, Swedish, Thai, Italian, Somali, English and many others. Let's take a look at 5 of the best-selling digital Quran players on the market today and see how they compare. The Quran is the Muslim religions sacred book- and in the Islamic faith tradition it is believed be the word of God, or Allah. It is believed that most of the Quran was authored during Mohammed's life. The rest of it is thought to have been written by his scribes directly after he died. The Koran helps provide direction to Muslims by prescribing the ways that they should live. There are a variety of different interpretations of the Quran which sometimes arises disputes between Islamic religious scholars regarding how they have interpreted and consequently prescribed practice of religious principles. If you are looking to learn the Quran, there are a variety of methods you can choose. It can be pretty challenging to learn the alphabet, the short vowels, the Tanween, the Sukoon, the Natural Madd, the Shaddah, but seeking out a qualified language instructor and complementing it with a digital Koran player can be a smart way of teaching yourself the pronunciation as well as some of the grammatical eccentricities of the language and how it is written in the Koran. If you are looking to purchase a digital Quran player, read the reviews above and check out the comparison table to see which model would be the best for you.